An isotonic drink is a drink that has the same salt sugar content with our body fluids' sugar salt. With the concentration equation, the given fluid pressure will be the same with the pressure of body fluids, which also affects the speed of absorption. When should we drink isotonic drinks? Anytime our body fluids are lost due to daily activities. Since POCARI SWEAT contains no chemical preservatives, you should finish the bottle on the same day you open it, if you touch your mouth to the bottle when drinking it. If you pour the beverage into another container before drinking it and keep the remainder in a refrigerator, we suggest finishing the bottle in two to three days. It is best to choose a size that you can finish in a reasonably short time. 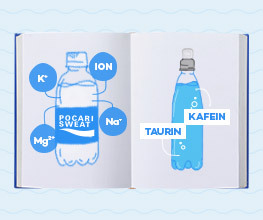 POCARI SWEAT is healthier beverage that smoothly supplies lost water and ions. With a composition close to you body fluid, it is quickly absorbed and retained longer in your body. POCARI SWEAT is thus recommended when you lose body fluid: exercise, outdoor activities, fever or whenever you feel dehydrated. Is POCARI SWEAT similar to an energy drink? No. POCARI SWEAT?s role is to restore ions and the body fluid quickly, not to increase stamina like other energy drinks. In addition, POCARI SWEAT does not cause an addiction. Is it OK to give POCARI SWEAT to pregnant women and nursing mothers? POCARI SWEAT can be consumed by nursing mothers and pregnant women, regardless of their pregnancy stage. POCARI SWEAT can even be consumed by mothers after childbirth, so that the loss of fluid during childbirth can be replaced. 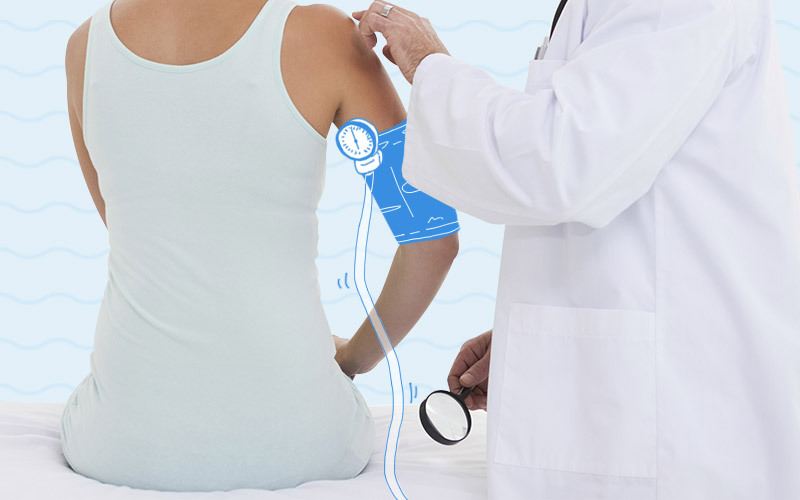 POCARI SWEAT is made based on scientific research done in Japan, and is produced with advanced technology and hygiene, thus it is SAFE to be consumed by pregnant and nursing women. Additionally, POCARI SWEAT does not contain any preservatives. Is it OK for isotonic drinks to be consumed by those who have illnesses such as ulcers, diabetes, hypertension, heart disease etc.? Everyone, even those with health issues such as diabetes, hypertension and so on, need to replace body fluids and ions that are lost throughout the day. But to know how much POCARI SWEAT should be consumed, the person concerned should consult a doctor / nutritionist, especially one who knows the history and condition of the illness in question. Is it OK to give POCARI SWEAT to kids? 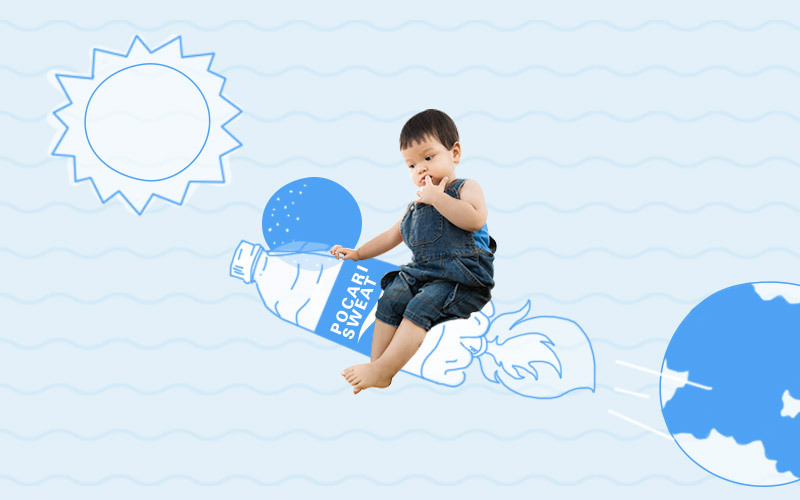 Yes, POCARI SWEAT is suitable for kids older than 1 year old. Why should we drink POCARI SWEAT when experiencing dengue fever? Indirectly. Platelets that are effective in stopping bleeding are mature platelets. This platelet maturation process can go smoothly if there are enough body fluid. Dengue fever patients lose more body fluid and thus, are more susceptible to dehydration. POCARI SWEAT can help prevent dehydration in patients with dengue fever so that the process of platelets maturation can run smoothly and on time. What is an ION? What is its difference to an electrolyte? An ion is a part of an electrolyte, the mineral salts that are naturally present in our body. Electrolytes in our bodies will break down into ions, both positive and negative, which are important in helping all the processes happening in our body. These electrolytes cannot be produced by the body itself, so they have to be replenished through the intake of food / drinks. What is the evidence that our bodies contain ions? Our body fluid is salty (e.g. tears and sweat). What is the evidence that our bodies contain electrolyte? Our body fluid is salty in taste (e.g. tears and sweat). When should we drink POCARI SWEAT? Anytime when we lose our body fluids during the 24 hours in a day, during any activities; indoors, outdoors, even during sleep and also when we are sick. What are the benefits of drinking POCARI SWEAT? 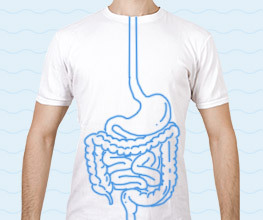 Lack of body fluids can lower endurance, performance and cause indigestion. 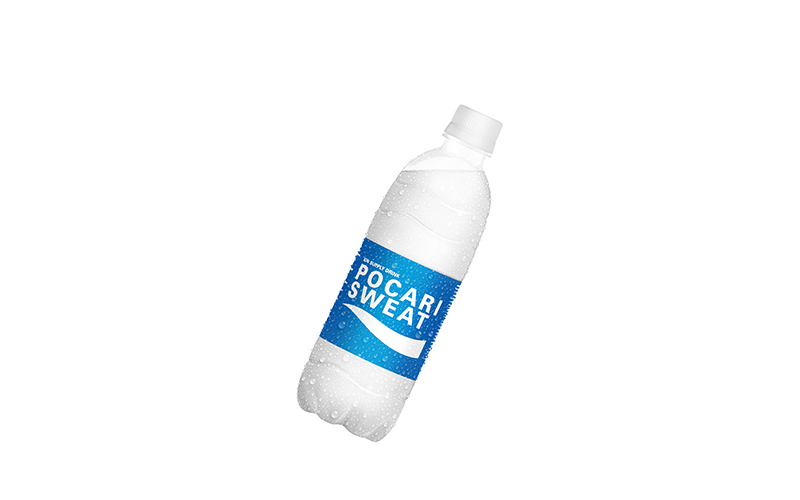 POCARI SWEAT has a composition that is similar to our body fluids, thus it can be absorbed faster and can quickly replace body fluids and ions that are lost. By doing so, we can take care of our health better and our activities can run smoothly. 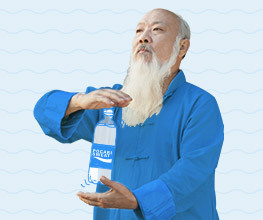 Is it OK to give POCARI SWEAT to the elderly? Yes. If they have any health issues, it is advisable to consult with the treating physician who knows their medical history. Why do we get cramps during exercise, such as during running? Muscle cramps can occur due to the lack of warm up, too much exertion or a lack of electrolytes. To prevent cramps due to dehydration, we should drink before, during and after exercise. Can POCARI SWEAT cause ulcers or stomach pain? No. Ulcers are caused by irregular eating patterns or psychological burden / stress and not because of too much isotonic drinks. Late meals / stress increases stomach acid, causing discomfort in the stomach. Although POCARI SWEAT is slightly sour in taste, it is still acceptable to the stomach. 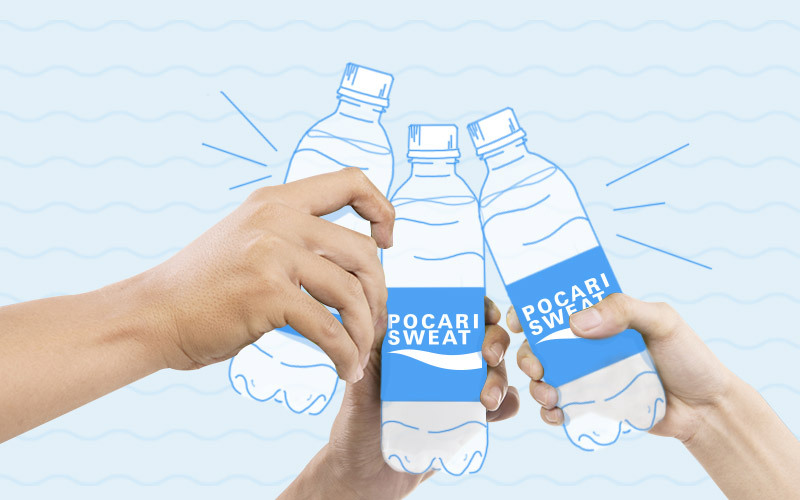 If we stop drinking POCARI SWEAT one day, will we become addicted? No, because POCARI SWEAT does not contain any ingredients that can cause an addiction. Why do isotonic drinks contain salt? In general, isotonic drinks consists of water-sugar-salt, as well as oral rehydration salts. The function of salts in isotonic drinks is to replace body ions that are lost along with the fluids, so that the fluid balance between water and ions is maintained. If we only drink water, the electrolyte levels in the body becomes too diluted causing the body to get rid of excess fluids. This can cause the body to become dehydrated (Voluntary Dehydration). Does POCARI SWEAT contain carbonationed water / preservatives / artificial sweeteners? Why are we advised to drink POCARI SWEAT before going to sleep? Even when we are sleeping, we are losing body fluids, not only through our urine, but also through our sweat, breathing and evaporation from the skin. Dehydration can make your blood more viscous, causing your body to feel less comfortable, aches etc., when you wake up in the morning. How should POCARI SWEAT be stored? In the refrigerator / chiller, or in a cool place (not directly exposed to sunlight). Can drinking too much POCARI SWEAT cause obesity? No. The sugar content in POCARI SWEAT provide calories that are not large, but is just enough as a facilitator for the water and ions to be absorbed by the body faster. Thus, the function of sugar in POCARI SWEAT is not as a sweetener. 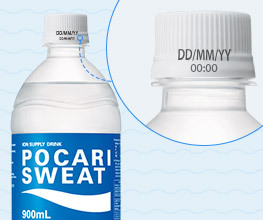 After it has been opened, how long can POCARI SWEAT be stored? It is not advisable to keep POCARI SWEAT for too long as air from the surroundings can enter into the product when it has been opened. If you are going to store the POCARI SWEAT back, close the cap tightly and keep it in the refrigerator. Is POCARI SWEAT powerful enough to increase platelets in patients with dengue fever? When we are suffering from dengue fever, we lose our body fluids due to cell leakage, coupled with bleeding, fever, vomiting and urination. If the fluid lost is not replaced, the patient will become weak and some functions / processes in the body will be impaired. For example, our platelet cell maturation process that stops the bleeding will slow down, prolonged high fever, etc., which can be fatal. Why should POCARI SWEAT not be stored in the freezer? It is not recommended to store it in the freezer to freeze it. When it is frozen, the volume and pressure will increase, thus causing excessive pressure which can damage the packaging. Damaged packaging may allow the surrounding air, which might contain bacteria, to enter. This can lead to contamination of the solution and cause a change in the taste. Is POCARI SWEAT a substitute for oral rehydration solution (ORS) during diarrhea? No, because POCARI SWEAT is not considered as a medicine. When we experience diarrhea, we lose a lot of body fluids that need to be replaced quickly and ORS is the recommended medicine. If ORS is not available during the time being, the patient may then be given POCARI SWEAT as a first aid, instead of just plain water. 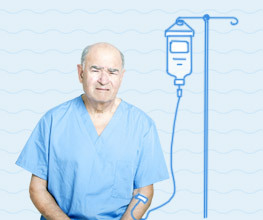 Once ORS is available, the patient can be given ORS. This is also recommended by WHO in their diarrhea patient management guide. How do we know the age of a POCARI SWEAT product? From the "best before" date listed on the packaging. For cans, the date is listed at the bottom of the tin. For bottles, the date is printed on the bottle cap, while for the powder packaging, the date is listed on the outer packaging / sachet. Is it OK to drink POCARI SWEAT together with other medications or supplements? Yes, as long as the prohibition to consume them along with isotonic drinks is not written in the packaging of the medications / supplements. Can POCARI SWEAT be consumed before meals? Why do we need to drink POCARI SWEAT when fasting? When we fast, we cannot drink or eat for approximately 12 hours, making us susceptible to dehydration. Dehydration can inhibit our activities because it can lead to rapid fatigue, difficulty in focusing and even dizziness. Drinking POCARI SWEAT at dawn and while breaking fast can help us maintain adequate body fluids and ions during our fast, so that our body processes will run smoothly. This is because the ions in POCARI SWEAT causes the body to retain its liquid longer, thus making it harder for us to get dehydrated. How much POCARI SWEAT should I drink in one day? There is no consumption limit in one day, because the body fluid needs of each person is different.